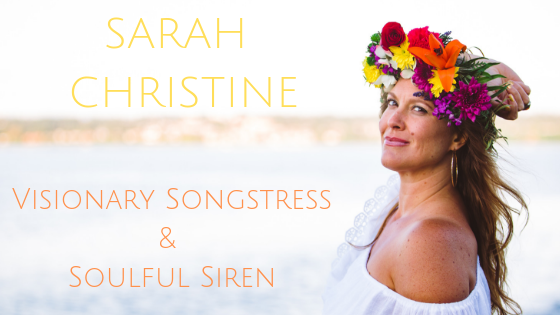 April 27, 2016 sarahchristinemusicLeave a Comment on New Single is almost here! New Single is almost here! Its getting closer! My brand new single WE ARE ONE will be released on May 4th and 100% of the proceeds will be donated to a non-profit organization called The Unstoppable Foundation that is working to create sustainable solutions for the eradication of poverty through education, access to clean water and sanitation, nutrition and health care for the villagers of Kenya, Liberia and Uganda. The Unstoppable Foundation thrives from the support of angel donors that cover all of the administrative costs, making it so that every penny donated goes directly to the communities in need. I have been thinking a lot lately about the impact of generosity and kindness, and how even the smallest acts can sometimes lead to tremendous outcomes. I was performing recently at Seatac Airport and I made eye contact with a gentleman whom I could tell was really taking in the message of my song. I smiled at him and continued singing, and when I was finished he approached my with tears in his eyes and said “You have completely changed the course of my day, more than you could ever know.” I truly believe it’s no coincidence that our paths crossed that day. Our lives are enhanced and made richer by giving to others. Whether that be in the way of giving our time, energy, talent, or money. Each of us has something unique to contribute to the greater whole.